What’s the best protein shake to buy? Are you a person with a busy life-style? Do you want to enhance the shape of your body? Do you want to speed up your recovery after workouts? 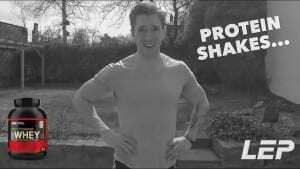 If the answer was ‘Yes’ to any of the above you need to add ‘Protein shakes’ to your arsenal of weapons! A high quality shake is perfect for those with busy lifestyles (they’re super quick to make!) and they’ll give you that extra 10% improvement – now who doesn’t want that? The trouble is there are so many shakes on the market, enough to bring on a pounding headache. Unless your prepared to spend your hard earned cash via trial and error and spend hrs studying protein shakes (I think you’ve got better things to do!) then your going to want to tune into this post. During my 10 years in the fitness industry i’ve learned tons of knowledge bombs about supplements and i’ve tried more protein shakes than you’ve had hot dinners (ok slight exaggeration but i’ve tried a lot of brands!). The idea of this post is to spare you the ‘headache’ – I want to save you time by giving you the answers you need to know. I’ve also put together a short snap video to help you further. Too Much Choice… The Indecision Paradox! More products = more choice = better for us right? Nope! The complete opposite! There’s just too many options! 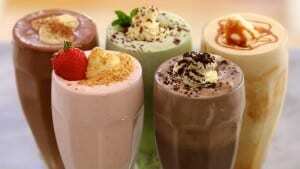 Protein shake quality differs and like all products… not all are good. Many are ridden with an excess of unhealthy chemicals, and bulking agents which overtime can damage health and reek havoc with your digestive system! No thanks! Some appear to give you value for money through sheer bulk! £50 for 5kg bargain! but when you actually look at the quality of the product it’s absolutely abysmal! With so much choice, who should we trust? what brand should we buy? what flavour? ahhh! Are protein shakes good? or Bad? What’s the best protein shake brand? For me the best is Optimum Nutrition Gold Standard Whey. I love the quality. Often cheap protein powders are lumpy (full of bulking agents) you drink them and lumps get caught in your throat, making you cough like a 40 a day smoker! it’s not very pleasant or a good look. Optimum Nutrition Gold Standard Whey on the other hand is very light, like grains of sand, making it slide comfortably down the gullet and into the stomach like a bobsleigh. My favourite flavour is double chocolate. It tastes great and makes you feel like your giving yourself a treat, when in actual fact your supplying yourself with a healthy meal containing essential proteins, imperative for healthy skin, hormones, hair, bones and muscle (1). I also recommend strawberry and banana flavour. From my experience the fancier the taste the worse it actually tastes! For example you get flavours like ‘strawberry cheesecake, rocky road, mint chocolate, banoffee pie’ – I’ve yet to have one that actually tastes like you’d expect. In fact the complete opposite they usually taste like… absolute rubbish! I hope you enjoyed this article, if you have any questions ‘please leave your comments below’ and I will get back to you. Also if you think this post can benefit somebody you know (friend, partner, family member) please share the love by sharing this post! There’s also over 200 FREE articles on my site covering a wide host of topics: health, nutrition, training, workouts, videos, mindset, muscle building, fat loss – you name it! I also update my blog every week so stay tuned for next weeks post!